The staff at Kermans flooring store in Indianapolis talks to customers each and every day. We can spot a trend coming and we know what type of floors sell best. When it comes to wood flooring there are two brands that rise to the top month after month: Mannington and Armstrong. Let's learn more about your best wood floor choices from these popular brands. Mannington prides itself on offering hardwood floors with durability, performance and beauty in mind. 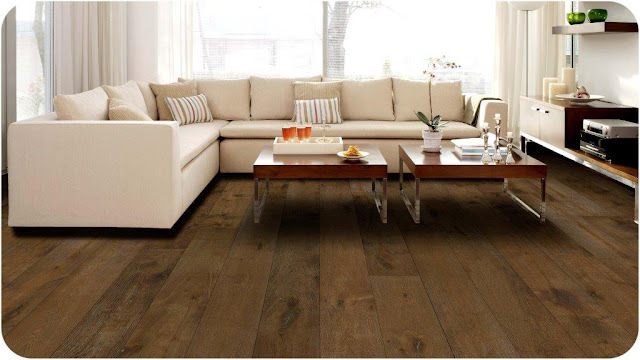 Whether you're looking for traditional oak, maple or walnut floors or responsibly harvested exotic woods, Mannington has the selection you're seeking. Their Hand Crafted collection is very popular and offers choices that are hand-sculpted and hand-finished for artisan texture and unique style. >Learn more about Mannington wood floors. Armstrong brands have long been best-sellers across the country. From engineered wood to solid hardwood to parquet wood flooring, Armstrong hardwood floors and Bruce® hardwood floors are strong and durable and ready for today's busy lifestyles. Armstrong also includes Homerwood Premium Hardwood as part of the Armstrong family of brands. >Learn more about Armstrong wood floors. Regardless of brand, there is one type of wood flooring that is currently our most-requested: engineered, hand-scraped wood flooring. 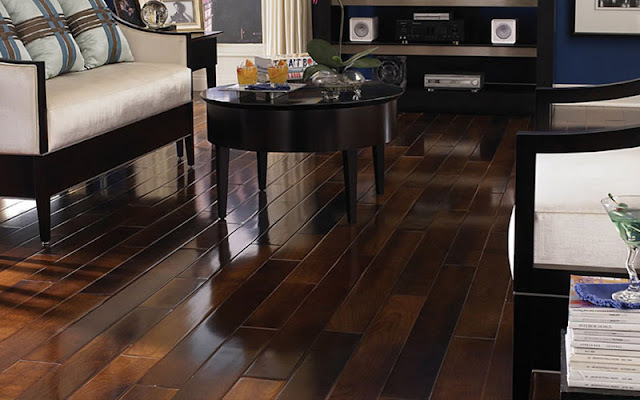 Hardwood has long been a cherished floor because of its hand-crafted traditional roots. Today homeowners can benefit from modern engineering and highly durable finishes and yet still have planks with rustic, hand-crafted appeal. Stop by Kermans showroom on the north side of Indianapolis and our design consultants will be happy to show you a wide range of engineered, hand-crafted wood floors. Looking for more flooring design trends? Follow our Facebook page where we highlight trend alerts and tips!